This was originally prepared in August 2017 but never posted until now (July 2018). Part One ends with a promise to look at the history of skiing; after which I resume my story of adventure. 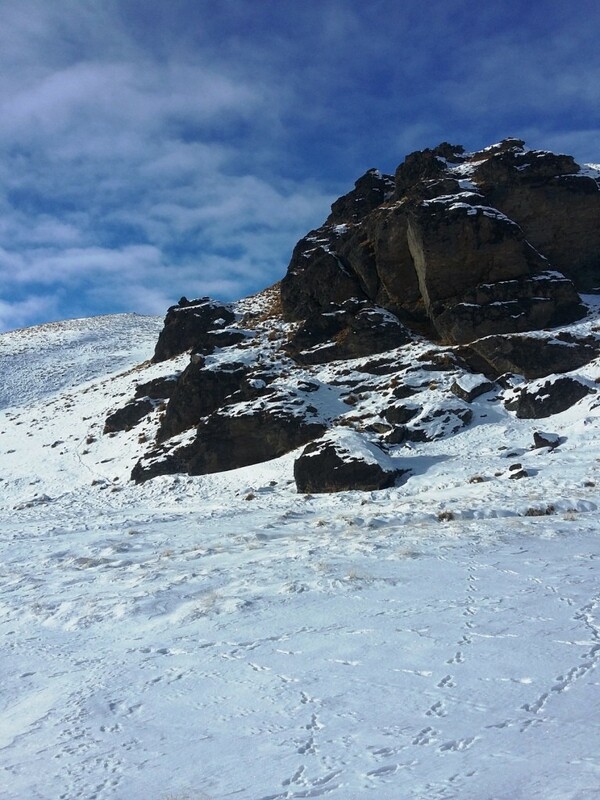 According to ancient rock drawings and other evidence, skiing has been practiced for at least eight thousand years. 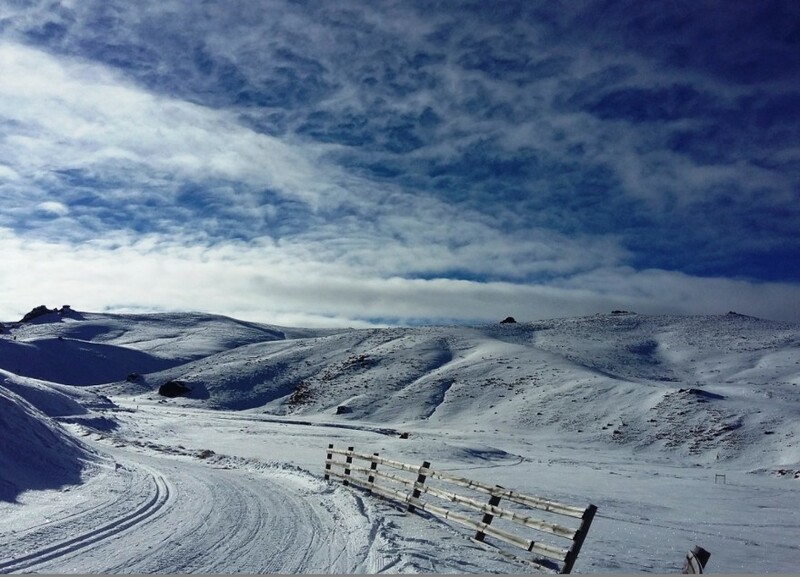 The first written accounts of skiiers that are known to exist are in Chinese, from the time of the Han dynasty, and date back to more than 200 BCE. But the practice is clearly much older than that, so much so that it is not possible to say where it originated. Originally just a way of getting around, the traditional form of skiing started to become a sport in the 1800s. In the West, the main exponents of skiing were from Scandinavia and Finland, and so it became known as Nordic skiing. 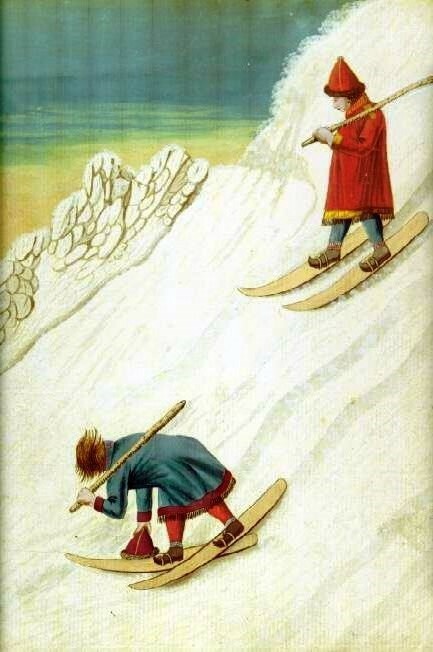 Sami (Lapp) Skiers in the eighteenth century, painting by Knud Leem, an early anthropologist, 1767. Public domain image, Wikimedia Commons. 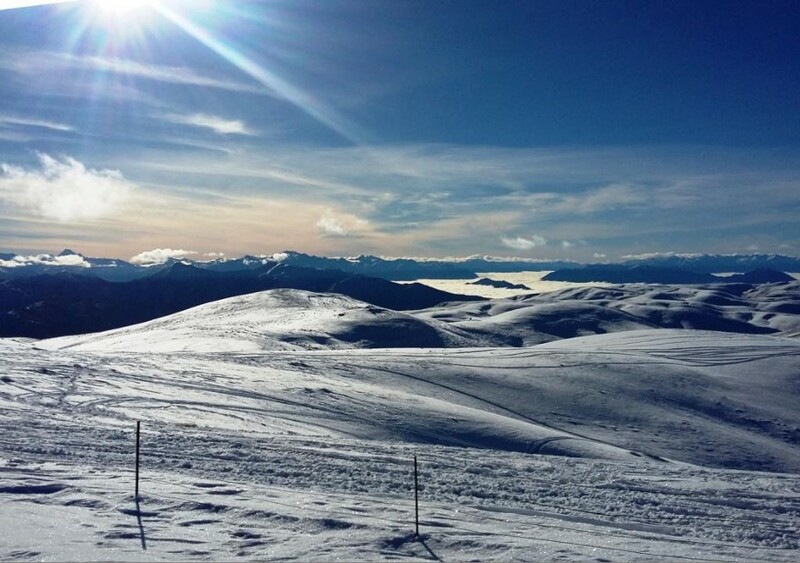 The word ‘ski’ is an old Norse term, pronounced “she” in modern Norwegian but with a hard k when first written down. It is related to the English word ‘scathe’. Old-fashioned wooden skis are made by ‘scathing’, a woodworking term meaning to cut or tear off in strips. To scathe something, to tear off strips, is obviously harsh treatment: so the concept is often used figuratively as well. And so the Norse goddess of hunting, harm and misfortune, as well as of winter and mountains, was called Skaði, the scathing one. The letter ð in her name was pronounced like the ‘th’ in ‘scathing’, and this is no coincidence. 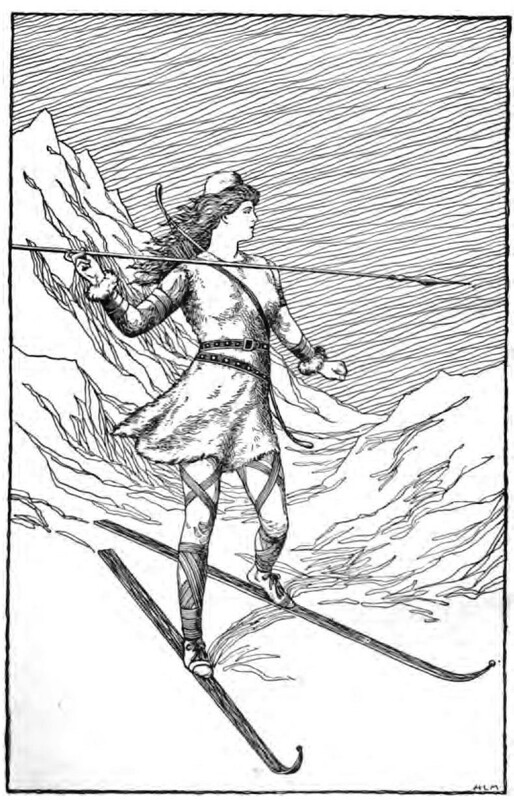 In winter and in the mountains, her dominant realm, Skaði was portrayed as hunting on skis. When we say “I came away unscathed,” what we really mean is that Skaði’s spear of misfortune missed that that time. At least, that’s how a pagan ancestor would have understood the expression. These Norse terms are also related to the German word schaden, which is most familiar to us as the first half of Schadenfreude, pleasure in someone else’s troubles: something that was the chief pleasure of Skaði. Skaði seeking whom she might next scathe. Public domain image on Wikimedia Commons, signed H.L.M, in Mary H. Foster, Asgard Stories: Tales from Norse Mythology, Silver, Burdett and Company, 1901, page 79. The witch-queens in The Wizard of Oz and in C. S. Lewis’s Narnia Chronicles, who want to keep the world in perpetual winter, are almost certainly Skaði in latter-day literary disguise. In the eighteenth century, the armies of European countries started to acquire ski regiments. 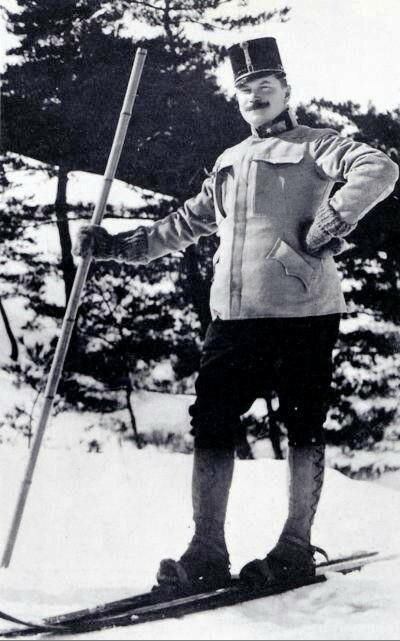 Major Theodor von Lerch of the Austro-Hungarian army, teaching skiing to the Japanese army on 12 January, 1911. Public domain image on Wikimedia Commons, from the municipal website of Jōetsu, Niigata. 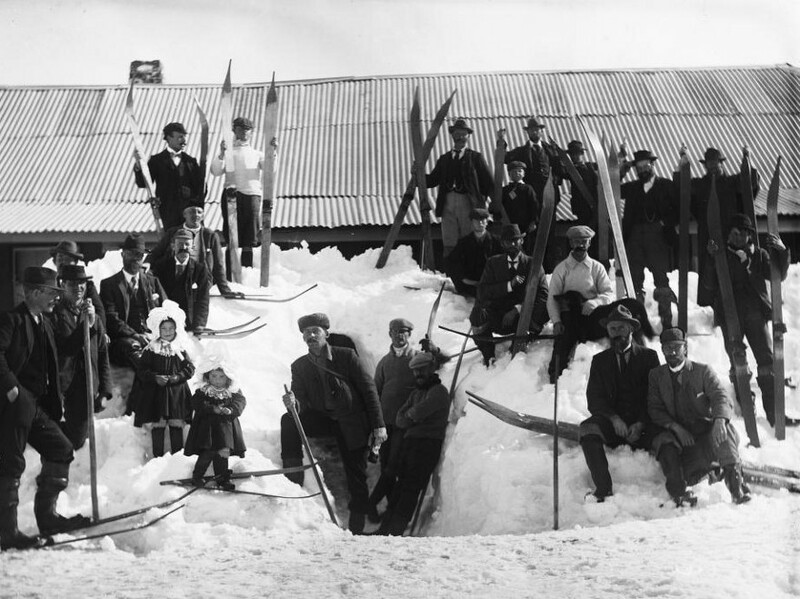 In the nineteenth century, skiing finally became an organised sport. 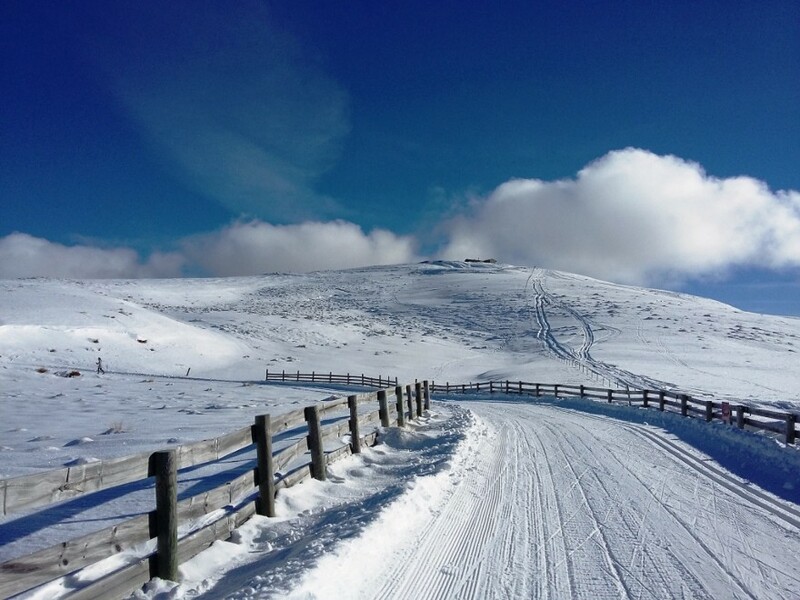 Interestingly enough, what is perhaps the world’s first actual ski club was founded not in Europe but at Kiandra, New South Wales, in 1861 (though this date is disputed; things were pretty informal to begin with). In America and Australia skis seem to have been known as ‘Norwegian snow shoes’ at that time and so this club was the Kiandra Snow Shoe Club. Rather comically, the early Australian skiiers described their snow shoes, for the benefit of those who had never heard of such things, as “two palings turned up at the front end and about four foot long.” So, these were definitely skis, though shorter and broader than the usual sort. Kiandra Snow Shoe (skiing) Carnival, 1900. Public domain image from Wikimedia Commons. Photograph by Charles Kerry, NL 80/3227. 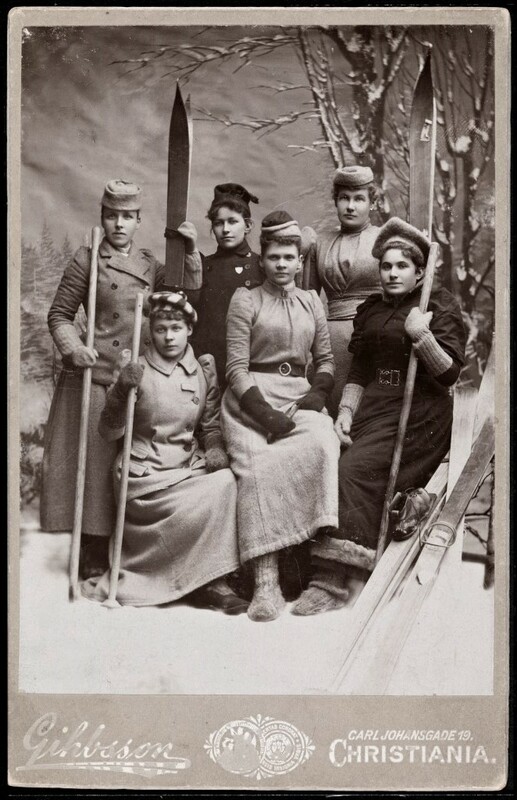 Six young women of a Christiania (Oslo) ski club, around 1890. Wikimedia Commons image from the National Library of Norway, image bldsa_FA1268, CC-BY-2.0. In all these early photos, you can see that the people only have one pole each. Some people used two poles from at least the mid-1700s onward, but until the commercialisation of aluminium poles in 1959 the use of two poles was not universal, because wooden poles light enough to carry in each hand for a long time tended to be flimsy and would bend or break if planted heavily. By way of another detail, Alpine skis normally only need to be able to slide forward, but Nordic skis have special waxes, tape, and other treatments that make them more grippy when stomped on and kicked back. 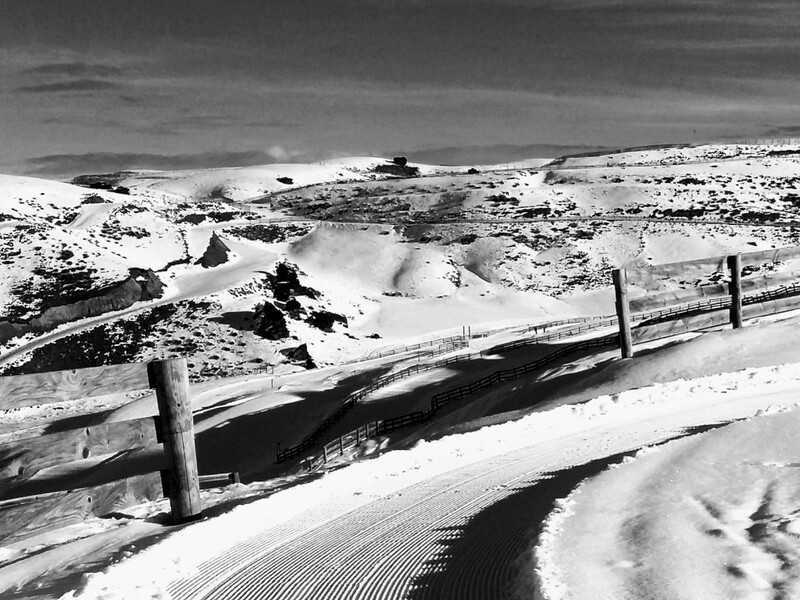 Without this, the Nordic skiier would find it hard to go forwards on the flat. 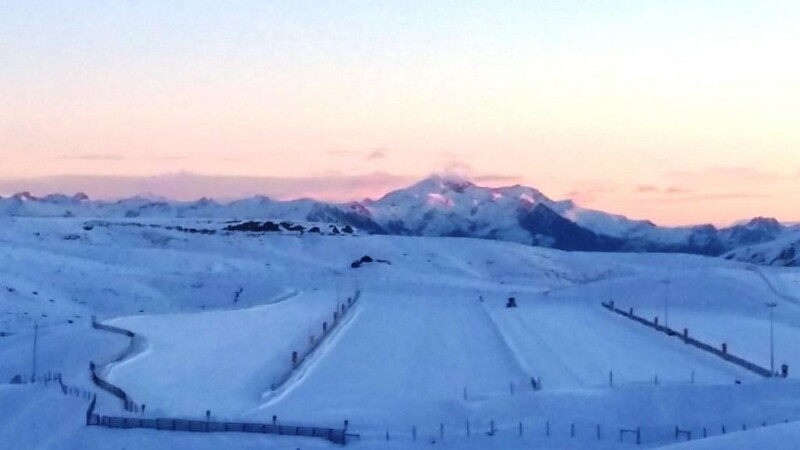 Returning to Snow Farm, in the modern day, I got up early to the hire store and got my very comfortable boots, skis with grip and two poles back out. Then I set out along the beginner’s route, got lost, fell over, and relearnt the skills from the day before. 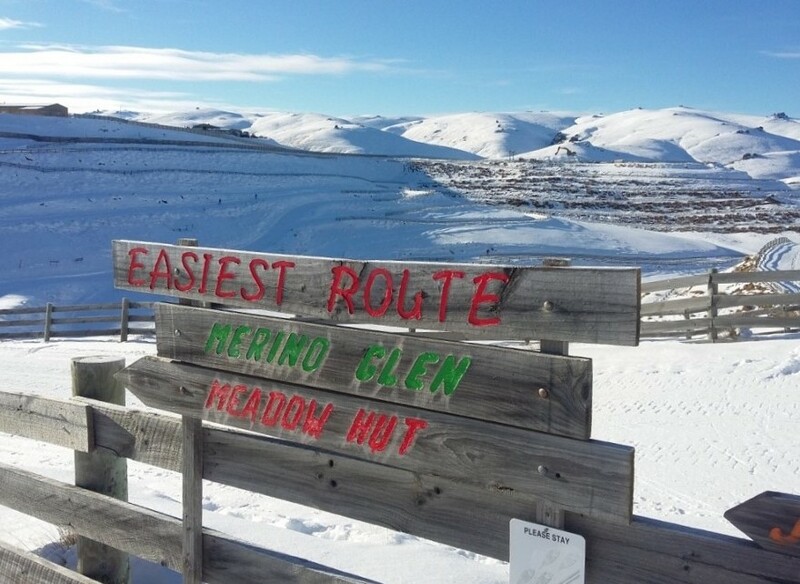 I was to follow the River Run track all the way to Meadow Hut. This was supposed to take me two hours, on mostly straight and level track. You can follow the trails left by other people or make your own. I found that following the compacted trails left by other people meant that I went too fast. So, if I had turn left or right, I took one ski off the trail into the soft snow to try and slow down. Just before starting I ran into the Biathlon team, once again. 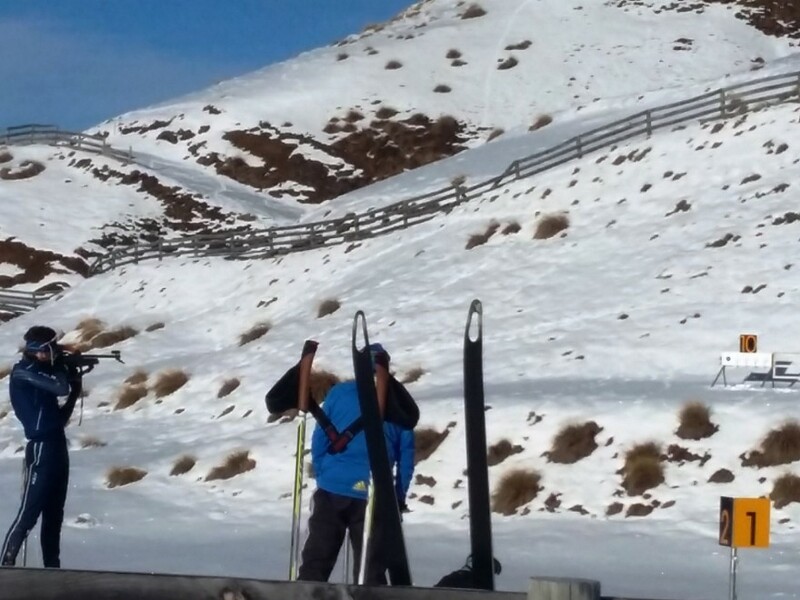 I met many locals with ski passes, who were getting fit for the season. Some were complaining to two Americans about a head-on collision on the way up the day before; people driving on the wrong side of the road. It was an Open Day, and I met many people skiing for free and using the place for free, which is a great PR exercise. I also met a driver who was testing Audis at the Southern Hemisphere Proving Ground, and told him I envied his job. I bet he got that all the time. 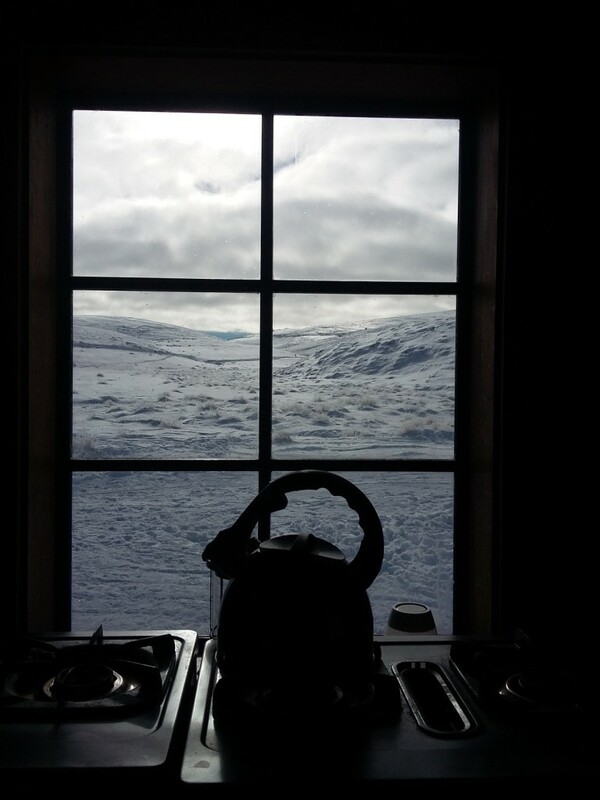 I was the only one in the hut and I got good photos of a kettle and of the outside. I got bored so made my way to Bob Lee Hut from which you can see Mount Aspiring, and then went back to Meadow Hut. What a view of Aspiring, I knew where I would prefer to be. 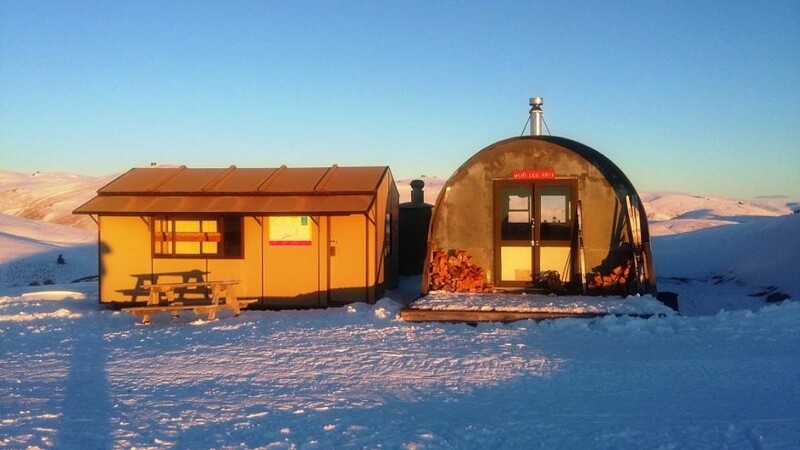 There was a family of three adults and three cousins, two dog sled instructors and five other people, plus 20 dogs that would be parked outside of Meadow Hut that night; and I had been warned. The two instructors came from Underdog, a separate company. They spent eight months each year overseas, one in Finland and the other in Alaska, and came to Snow Farm for four months. Apparently, they are totally booked out. The dogs are from Alaska, and start wearing a harness at seven months old. 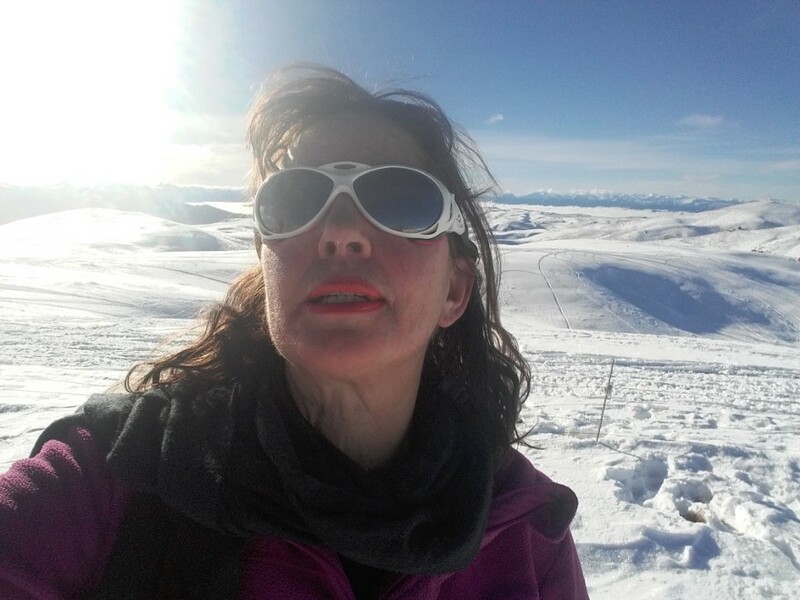 (I did some dog sledging in Greenland, which I talk about in A Maverick Travellerand also in A Maverick Inuit Way and the Vikings, forthcoming.) The clients learnt how to ride and would go for night rides. The instructors got the dinner from the Lodge and made the breakfast which I also describe in the second of those books as being the Arctic way. Each client was given a plastic bag, and made to choose from contents of plates of food to make an omelette. They each cracked two eggs and put it in the plastic bag, then put ham, tomatoes or cheese or onion in it. The instructor had a large pot on the boil and took the air out of seven plastic bags full of omelette ingredients, and 15 minutes later there were seven omelettes. The dogs were given coats when it did not snow, as the snow acted as a cushion. It’s often colder when it isn’t snowing, and it’s also harder for the dogs to burrow under it when the snow is not falling. The dogs were well behaved, but being an instructor was hard work: a definite no drink and drive policy at night. The family came from Wanaka and Hamilton, and the boys who were all cousins had a great time in the snow, walking around with no socks on inside — boy will be boys, all clothes were wet. They melted chocolate and put biscuits in it and also had pink marshmallows. They brought in their own spaghetti bolognaise. They kept offering me food most hospitably, but I simply had enough, and certainly I ate enough. 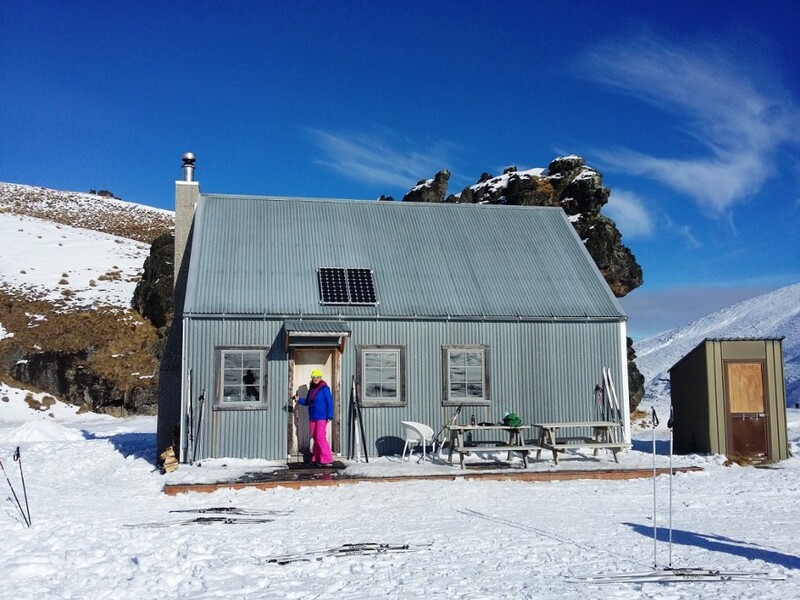 They had snow shoed in to the hut, with actual snow shoes, not the Kiandra variety. It was full moon. I went out and howled with the dogs just for the hell of it. My entire body was sore, the fire was warm and one of the instructors kept putting wood on it. The weather was meant to pack up. I was warned by the Instructors on the Day I was due out, Tuesday, that there would be 100 knot winds. They said I should follow the snow plough track out if visibility was low. My body was so sore. It was great that I was having an easy day and I was not going on any intermediate tracks: that was the end of that. 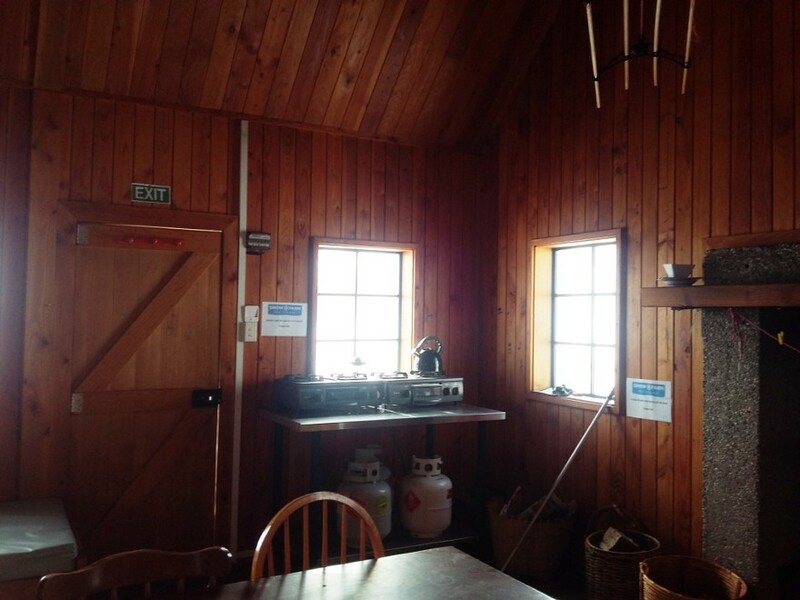 I made it to Bob Lee Hut and just socked in the views of Mount Aspiring once more. Mount Aspiring view, showing cloud inversion in valleys. Mount Aspiring at extreme left. Five people came to the hut that night at 7 pm that night. It got dark at 5.30 p.m. and the sun rose at 7.45 a.m., very late in the morning by New Zealand standards. The 7 p.m. arrivals were two policewomen from Greymouth, and a brother and sister from Wanaka with a friend. The brother had just returned from working for only $10 per hour in Canada, I’m not sure at what but it didn’t sound like El Dorado. The last three were escaping from a phenomenon called cloud inversion. They had come up the hill to a mountain resort for sunshine. It seems that to add to their misfortunes, Wanaka had been covered in a mysterious freezing ground-fog for three weeks solid. Had Skaði cast her spear into Wanaka, I wonder? 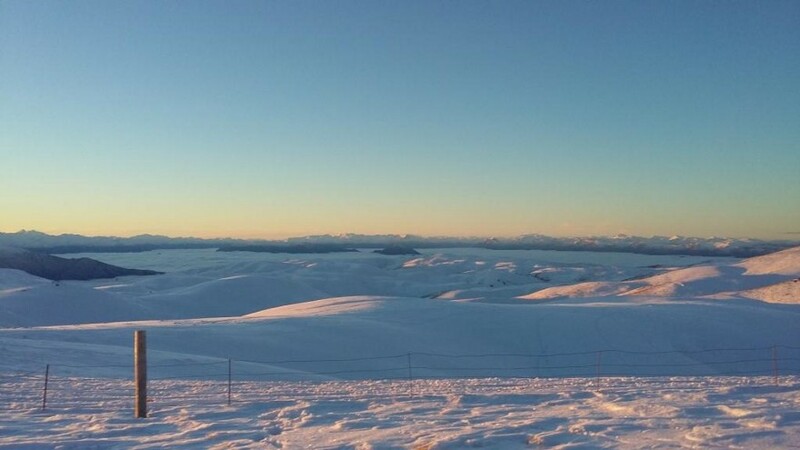 You can see the cloud inversion in the photo of Mount Aspiring, actually. Once again people offered to share food, and I politely declined. The fire was cosy, and the moon was still full. The locals were annoyed at another commercial ski-field that was not yet fully open. We were so high we could see they had no snow ploughs out trying to get the field prepared, yet on another ski-field we saw eight ploughs from that high. Their lights were flashing on one and not the other, and locals with ski passes to the one with no activity might take their business elsewhere next season. The policewoman told me that they were delivering snow shoes for us in case we needed them to walk out over a heavy snowfall, in view of the coming blizzard. As much of an adventurer as I am this sounded too rich for my blood and so I decided I was walking out now, thanks, and grateful I had my tramping boots with me. I got up at 5a.m. and enjoyed the walk out under a full moon. I got back to the Lodge at 8 a.m. and waited until my pack came back at 10 a.m. There was black ice on the way down. Luckily, I have a four-wheel-drive Subaru and snow tyres. The snow had reached the valley floor and it was set to snow for the next two days. 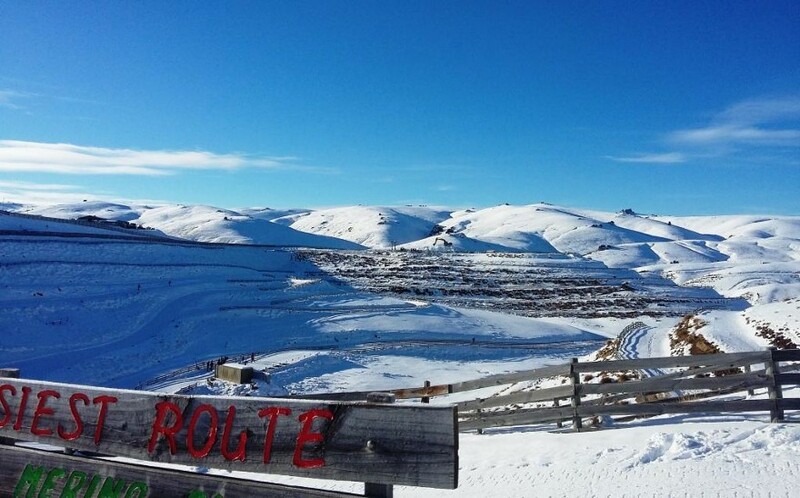 I decided not to go the quickest way back to Queenstown via the Crown Range, as there are too many ungainly campervans that go side-on and block the mountain road when icy weather strikes. That’s a bit of Queenstown local knowledge that’s worth knowing. Instead I went through Cromwell and the Kawarau Gorge, which took about two hours driving slowly. Oh, and here’s a final treat: what Snow Farm looks with some special effects. It goes to show that there’s still stuff you can do with black and white photography, that you can’t do with colour!